Andre Boudrias, one of the Vancouver Canucks' first offensive stars and a former team captain, has died at age 75. The Montreal Canadiens said on their website that Boudrias died Tuesday in Whistler, B.C. A cause of death was not given. Boudrias, a Montreal native, signed with his hometown Canadiens at a young age and starred with the Montreal Jr. Canadiens before turning pro in 1963. But he spent most of his early pro career mired in the Canadiens' deep farm system before being dealt to the Minnesota North Stars on the day of the 1967 expansion draft. His career finally took off when he was dealt from St. Louis to the expansion Canucks before the 1970-71 season. 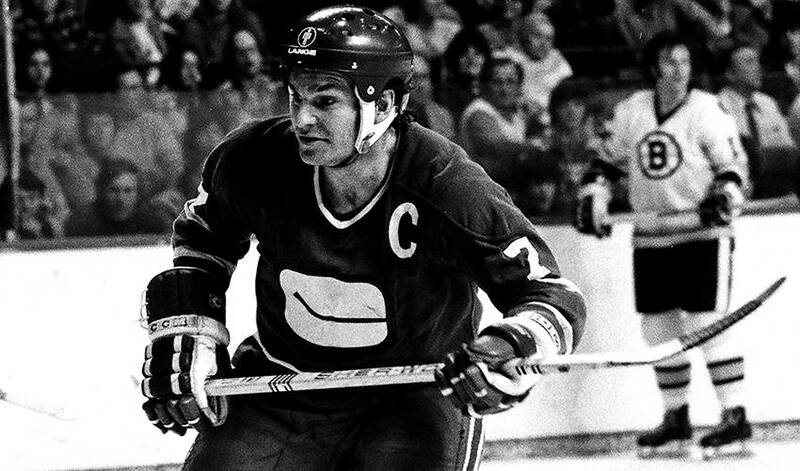 He put up five straight seasons of 60 or more points in Vancouver, including a 30-goal, 40-assist campaign in 1972-73 and a 16-goal, 62-assist season in 1974-75, when the Canucks made their first NHL playoff appearance. Overall, Boudrias had 491 points (151 goals, 340 assists) over 662 NHL games with Montreal, Minnesota, Chicago, St. Louis and Vancouver. After his career he joined the Canadiens' scouting department and later spent 12 years as an assistant general manager to Serge Savard, helping the team win Stanley Cup titles in 1986 and 1993. He joined the New Jersey Devils as a scout in the summer of 1994 and helped them win Stanley Cups in 1995, 2000 and 2003.